Week seventy one and this week’s venture into Mary Berry’s Baking Bible found these two recipes. 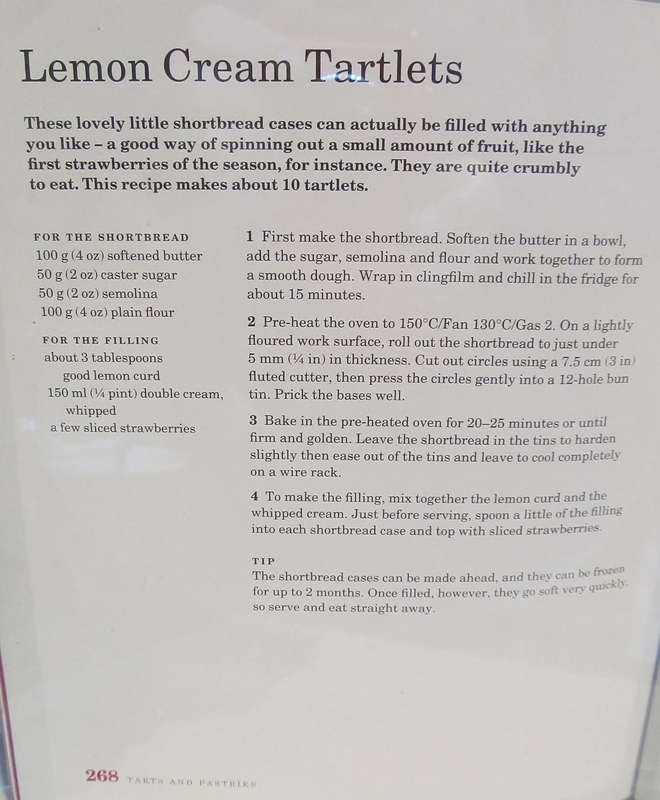 The first was the lemon cream tartlets. This tartlet has a shortbread base so I followed Mary’s recipe and made the shortbread and then had to wrap it in cling film and pop it into the fridge for 15 minutes. When the time was up, Mary asks you to roll out the shortbread and use a cutter to cut out 12 circles and put them into the tin and bake for 20-25 minutes until golden brown. Once cooked, Mary tells you to allow them to cool in the tin before attempting to get them out- wise advice, I only attempted one while they were warm and took part of the edge off! When they are completely cool, whip some double cream and add some lemon curd. This is the filling for the tartlet. 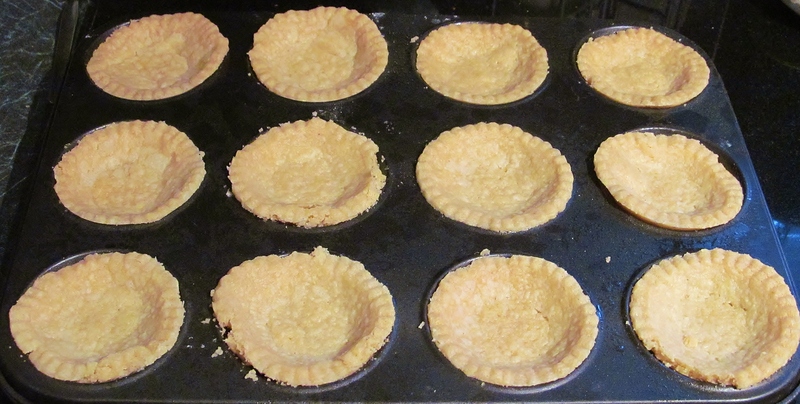 Mary tells you one important thing here- only fill the tartlet when you are ready to eat it or the filling will make the crispy shortbread go soggy- and you do not want a soggy bottom here! Mary suggests adding a strawberry to the top. 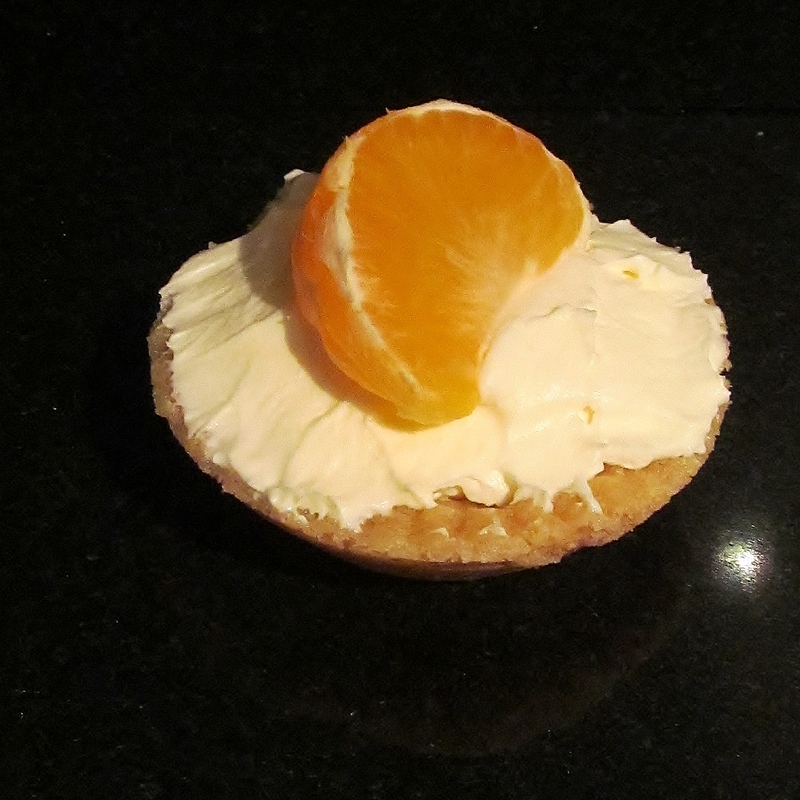 I decided to stick with the citrus theme and added a clementine slice. 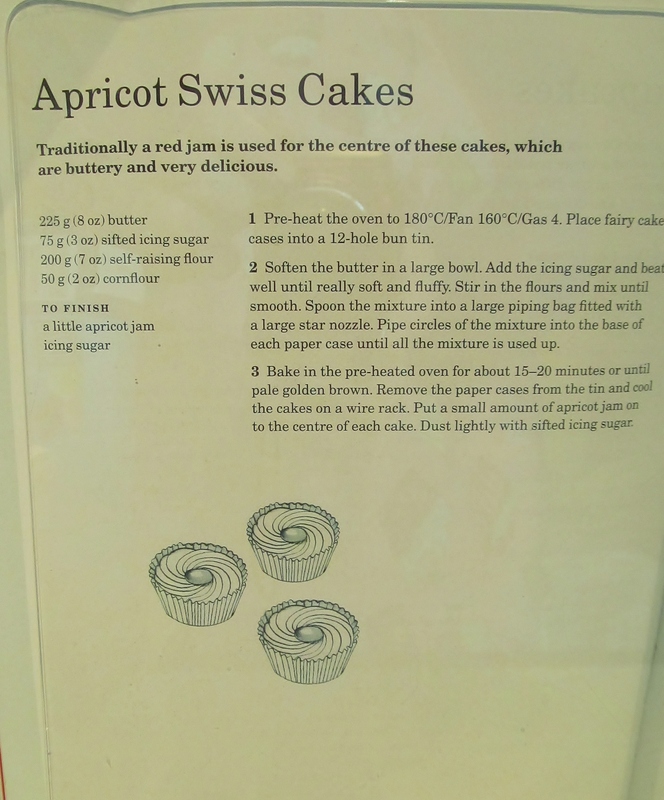 The second recipe was the apricot swiss cakes. This is pretty much a mix all the ingredients together recipe and then add to a piping bag and pipe circles into 12 cake cases and bake for 15 minutes. 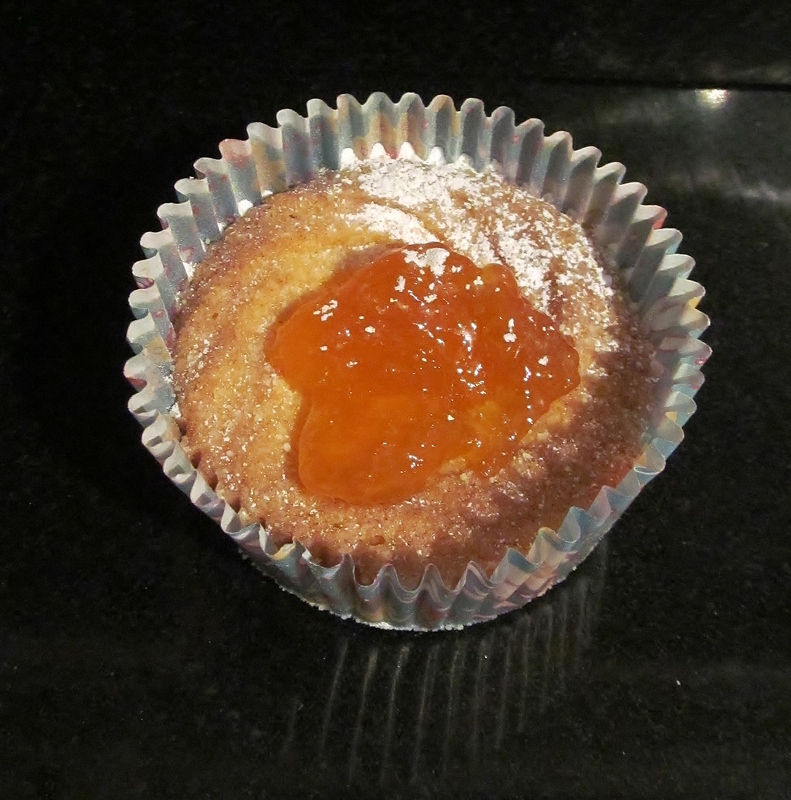 Once cooked and golden brown, allow to cool and add a spoon of apricot jam to each cake and sprinkle with icing sugar. These remind me very much of Viennese whirls. 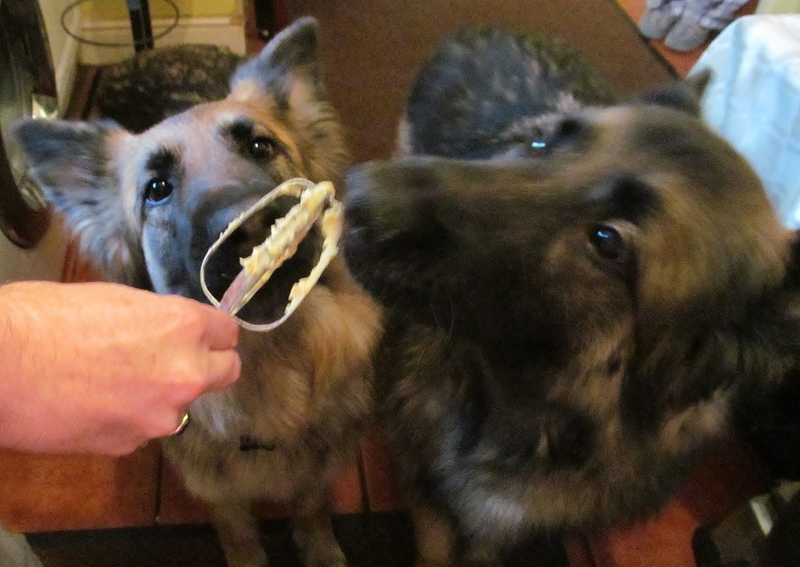 As usual, the hairy hoolies were in the kitchen while I was cooking. Hubby came in at the end to see if he could scavenge some remnants from the bowl- his favourite part and he allowed the hoolies to sample a little of the whipped cream- not all of it I hasten to add and then thank goodness for a dishwasher! Well I did a really silly thing just now- I decided to count how many recipes I had left to cook- I thought it would be significantly less by now but no …. I still have …..126 recipes to go….but at least I now have a countdown! On a lighter note- Mary Berry is back on the television this week- yay! This entry was posted in Kim's cake challenge and tagged Apricot, double cream, Kim's Apricot Swiss Cakes, Kim's Cake Challenge, Kim's Lemon Cream Tartlets, lemon, Mary Berry, Mary Berry's Apricot Swiss Cakes, Mary Berry's Baking Bible, Mary Berry's Lemon Cream Tartlets, Shortbread by kimsideas. Bookmark the permalink.